Based on the struggle over a Fargo, North Dakota, abortion clinic, Contested Lives explores one of the central social conflicts of our time. 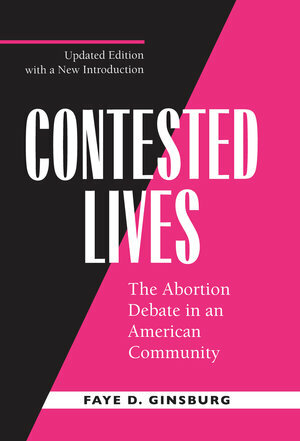 Both wide-ranging and rich in detail, it speaks not simply to the abortion issue but also to the critical role of women's political activism. 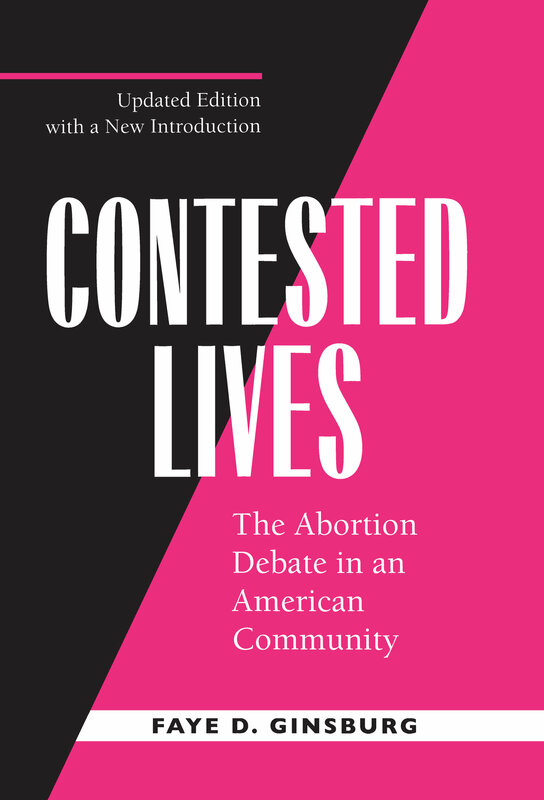 A new introduction addresses the events of the last decade, which saw the emergence of Operation Rescue and a shift toward more violent, even deadly, forms of anti-abortion protest. Responses to this trend included government legislation, a decline in clinics and doctors offering abortion services, and also the formation of Common Ground, an alliance bringing together activists from both sides to address shared concerns. Ginsburg shows that what may have seemed an ephemeral artifact of "Midwestern feminism" of the 1980s actually foreshadowed unprecedented possibilities for reconciliation in one of the most entrenched conflicts of our times. Faye D. Ginsburg is Professor of Anthropology at New York University, where she also directs the Center for Media, Culture, and History. Her other works include (with Rayna Rapp) Conceiving the New World Order: The Global Politics of Reproduction (California, 1995).